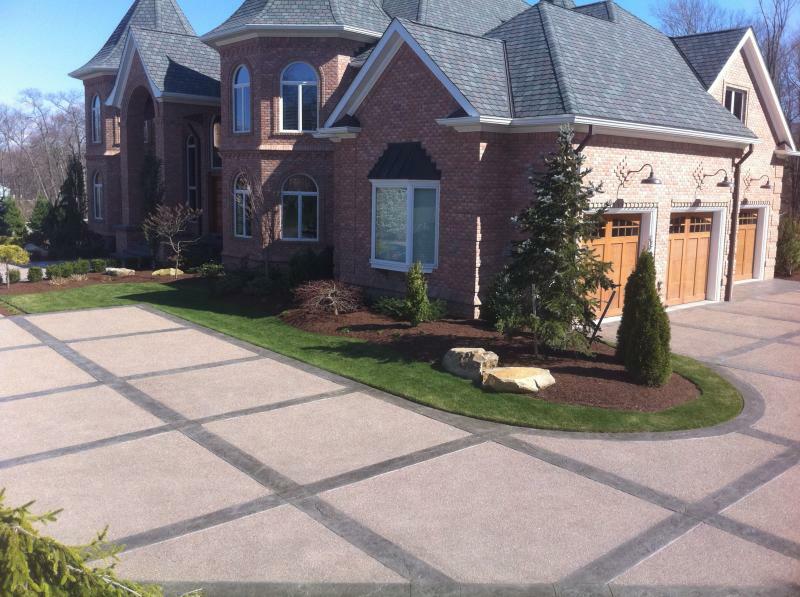 Artistic Stamped Concrete of Rhode Island - Artistic Concrete service's Rhode Island, Massachusetts and nearby Connecticut . We specialize in the installation of Decorative Stamped Concrete as well as Stained Concrete and decorative overlays. We commonly install patios, pool decks or pool aprons, driveways, walkway entrances, Steps, interior concrete floors, stained concrete, and many types of exposed aggregate. Concrete is an extremely versatile and durable material which can offer homeowners endless designs options at an affordable price. Artistic Concrete is a family owned and operated business, we have been in the Concrete Industry for over 20 years. Let our experience work for you. One of the owners is on EVERY job site no matter how big or small. You only have one chance with concrete. Do it right the first time. Artistic Concrete also installs many other decorative finishes as well as exposed aggregate and your more common traditional broom and trowel finishes. We pride ourselves on our craftsmanship and customer satisfaction. 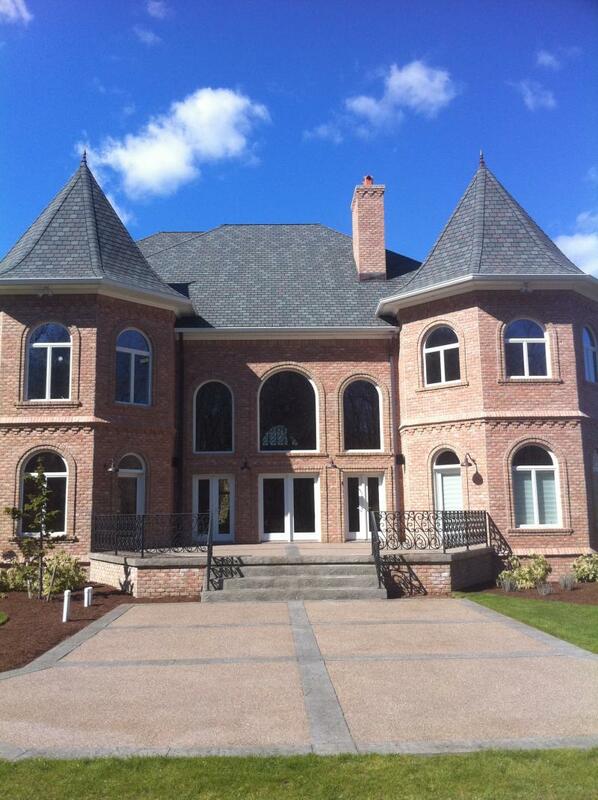 When quality counts call on Artistic Concrete for your next project. Please take the time to view our website . 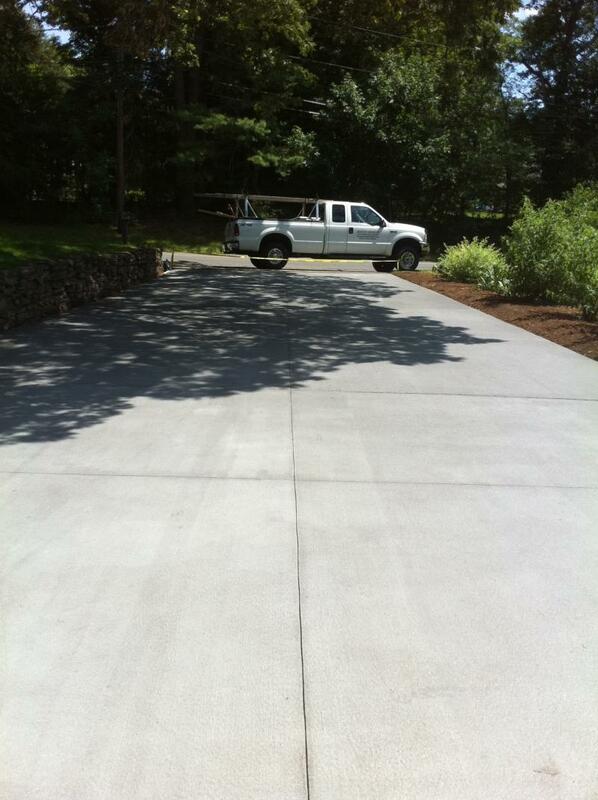 Artistic Concrete service's Rhode Island, Massachusetts and nearby Connecticut . 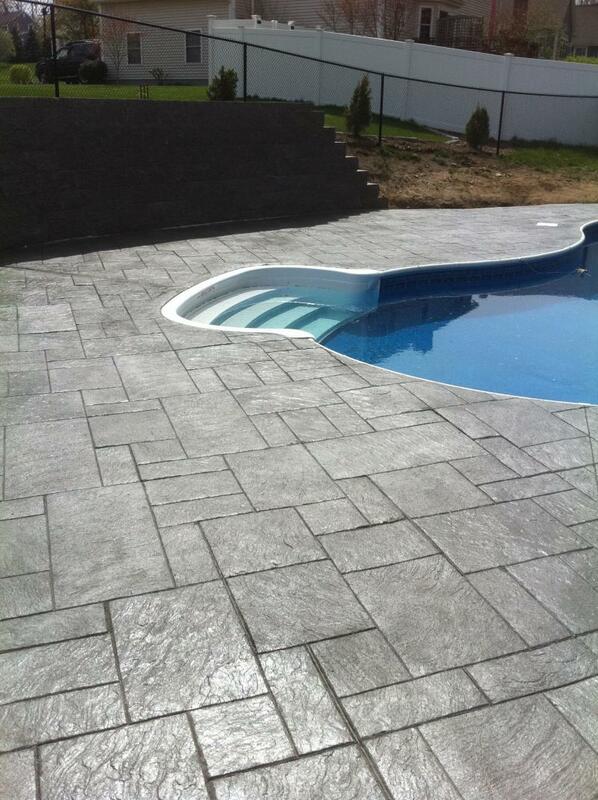 We specialize in the installation of Decorative Stamped Concrete as well as Stained Concrete and decorative overlays. We commonly install patios, pool decks or pool aprons, driveways, walkway entrances, Steps, interior concrete floors, stained concrete, and many types of exposed aggregate. Concrete is an extremely versatile and durable material which can offer homeowners endless designs options at an affordable price. Artistic Concrete is a family owned and operated business, we have been in the Concrete Industry for over 20 years. Let our experience work for you. One of the owners is on EVERY job site no matter how big or small. You only have one chance with concrete. Do it right the first time. Artistic Concrete also installs many other decorative finishes as well as exposed aggregate and your more common traditional broom and trowel finishes. We pride ourselves on our craftsmanship and customer satisfaction. When quality counts call on Artistic Concrete for your next project. Please take the time to view our website . 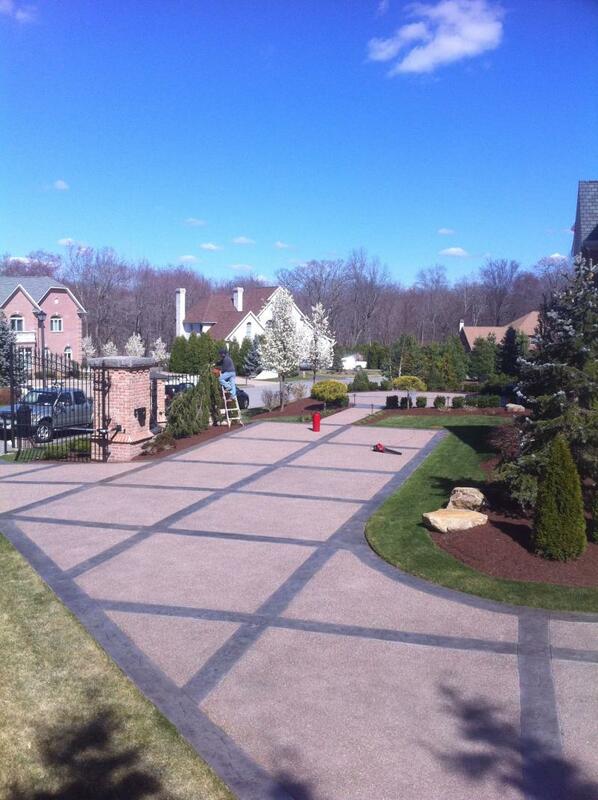 Artistic Stamped Concrete commonly installs stamped concrete in RI and nearby Massachusetts MA counties. Artistic Stamped Concrete specializes in decorative concrete applications such as patios, driveways, pool decks, pool aprons, walks, walkways, and steps/stairs. 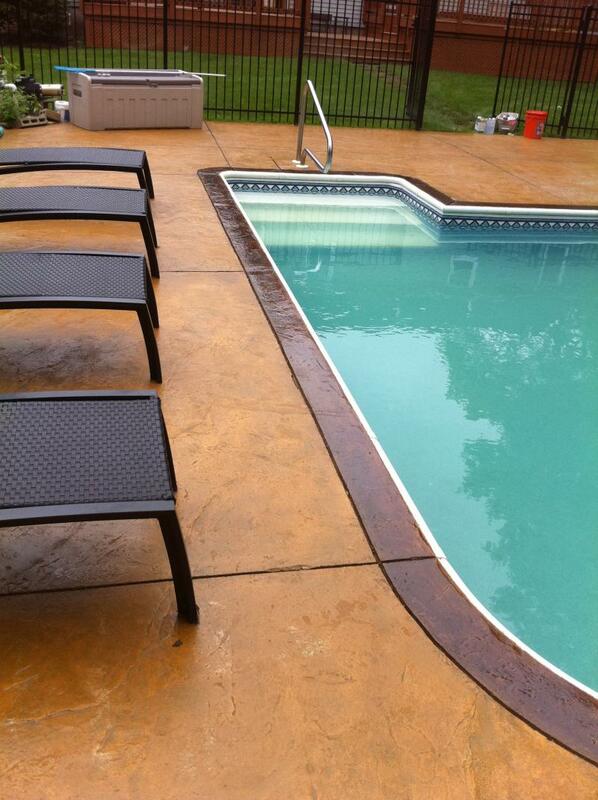 We can resurface your old concrete as well as remove and pour new. We install traditional concrete as well as all the decorative finishes including exposed aggreagate for residential, commercial and industrial applications. We work closely with homeowners, architects, landscape architects, and engineers to install a product that will meet or exceed expectations and durability. Artistic Concrete will always install the highest quality products and perform proper finishing techniques. Artistic Conctete also has many options for concrete flooring such as concrete overlays, concrete stain, microtoppings, and epoxy flooring. We commonly install these types of finishes for residential, retail, commercial, industrial and restaurant dining and kitchen floors. Artistic Stamped Concrete of Rhode islands specializes in all types of stamped concrete and decorative finishes for patios, driveways, walks, pool decks/aprons, and stairs. We also install more traditional concrete finishes such as basement floors and garage floors as well as commercial kitchen floors. Our service area includes nearby Mass and Connecticut and the towns and cities of Barrington, Bristol, Burrillville, Charlestown, Coventry, Cranston, Cumberland, East greenwich, East Providence, Exeter, Foster, Glocester, Hopkinton, Jamestown, Johnston, Lincoln, Little Compton, Middletown, Narragansett, New Shoreham, Newport, North Kingstown, North Providence, North Smithfield, Pawtucket, Portsmouth, Providence, Richmond, Scituate, Smithfield, South Kingstown, Tiverton, Warren, Warwick, West Greenwich, Westerly and Woonsocket. Stamped Concrete seamless texture with terra-cotta/charcoal coloring. Seamless Slate with tan/charcoal coloring. Exposed Aggregate with stamped borderwork. 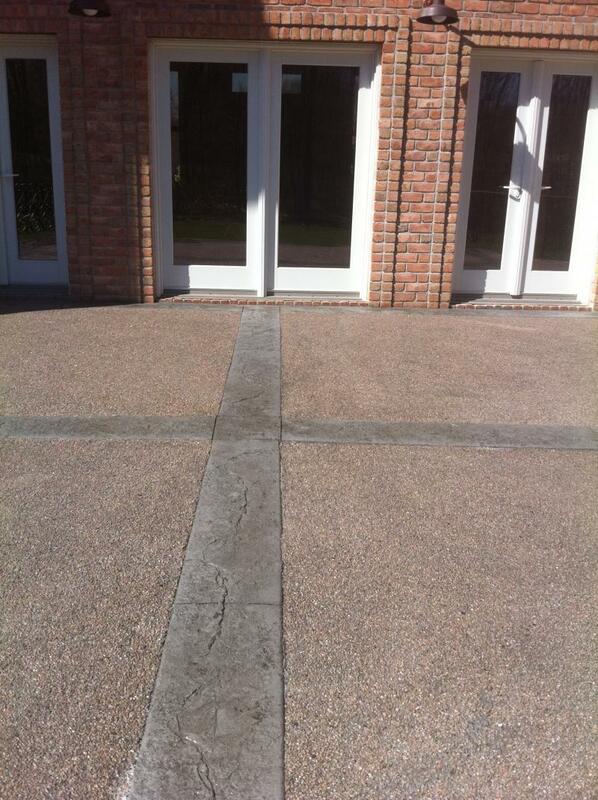 1/4 inch Stampable overlay applied over existing concrete. Traditional concrete with cobblestone apron. Large Slate with stamped borders and radius steps. Large slate with built in fire pit, Tawny pink / charcoal color. 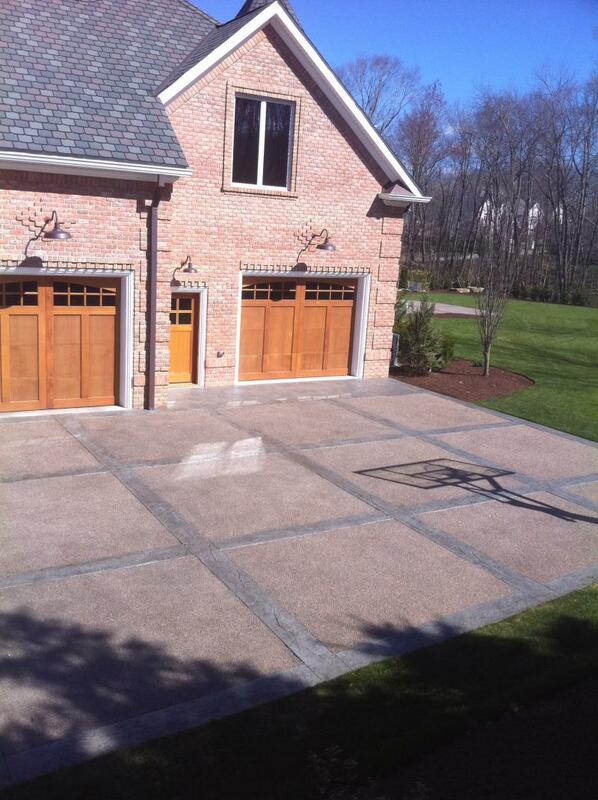 Exposed aggregate driveway with stamped border. Eposed aggregate patio with stamped borders. Large slate with grey color, freshly sealed. Exposed aggregate with stamped borders. 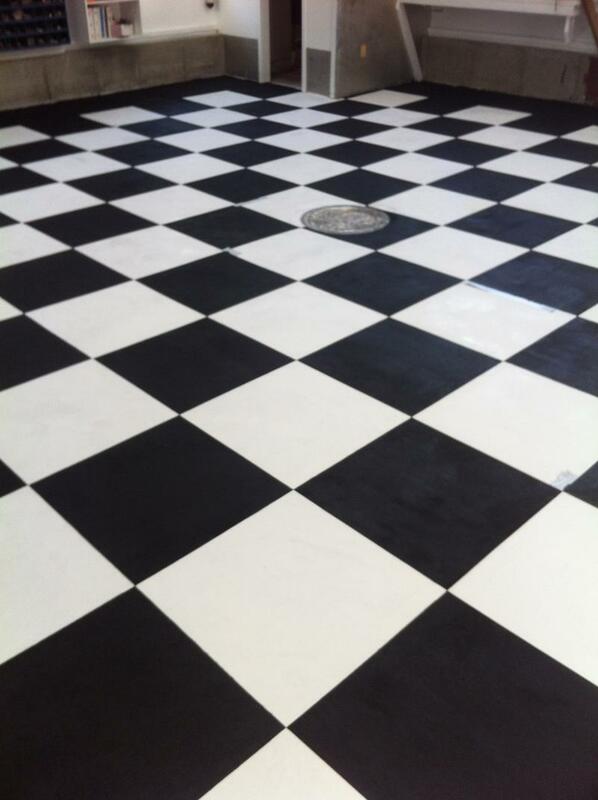 Cafeteria floor for Packaging Graphics in Pawtucket. Large grey slate with border. Seamless Slate with brown/charcoal coloring. 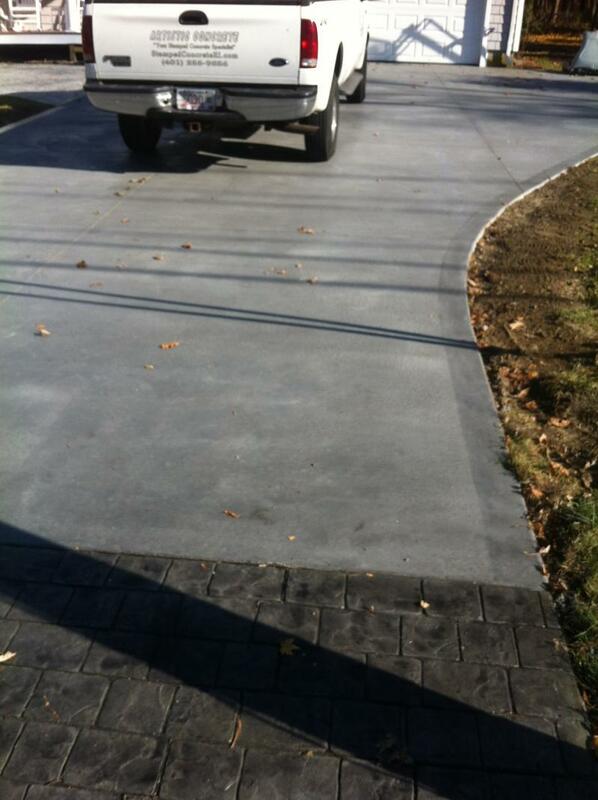 Custom sun acid stained into driveway, seamless slate with borders. Concrete steps, not finished will be veneered with real stone. Small slate tan coloring, Barrington RI. d acid stain staining, conServing all of Rhode island and nearby ma Massachusets. Artistic concrete specializes in decorative stamped concrete for, walk, walks, patio, patios, drive driveways, parking areas. 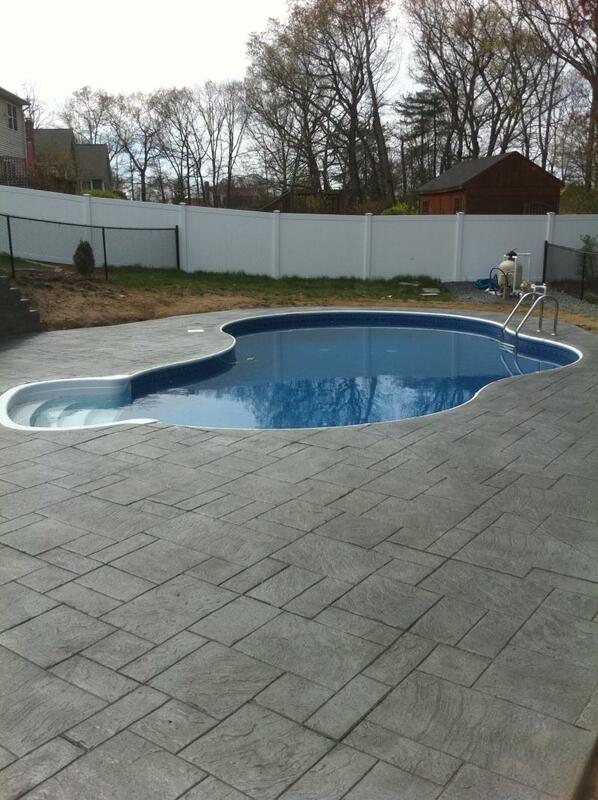 We also spccialize in stamped concrete foe pool decks and pool aprons. Ladcrete stain.